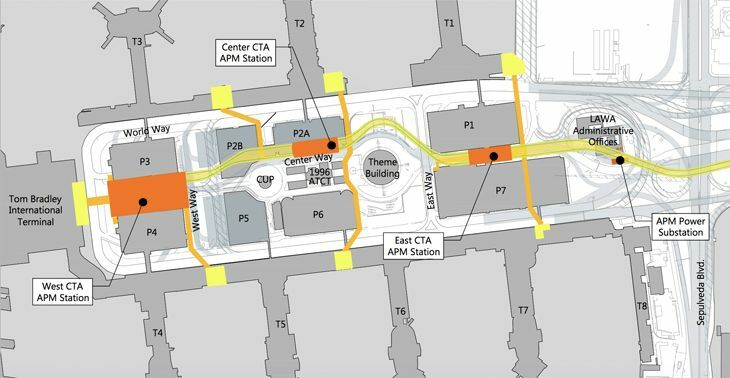 Departing passengers coming into Los Angeles International Airport too often ride into a traffic nightmare as they try to get to their terminals. 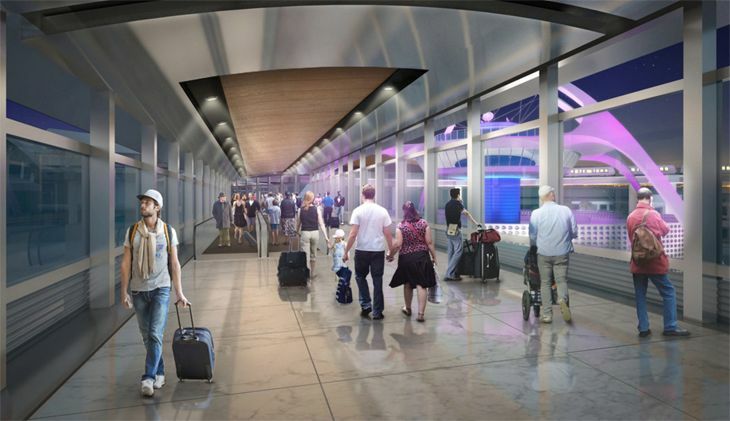 Los Angeles World Airports – the agency that operates LAX – has big plans to make that better, and it just came out with some renderings of what the “new” LAX might look like after it implements its years-long overhaul of intra-airport transportation. 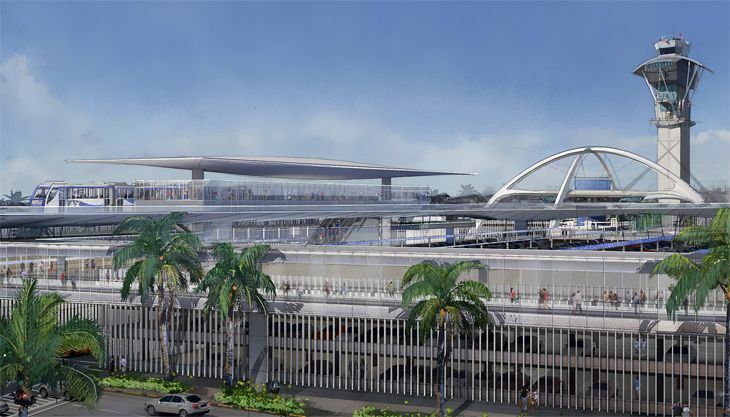 “Today, regardless of transportation mode, passengers, employees and visitors face uncertain travel times, congestion and overcrowding to and from LAX. 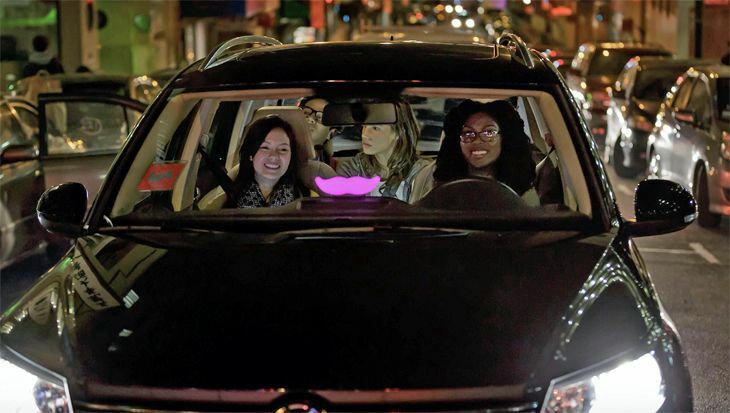 Approximately 63 percent of all departing air passengers used private vehicles, taxis, limousines, or Transportation Network Companies (TNCs) such as Uber or Lyft to get to LAX in 2015; this percentage is even greater for those departing passengers who are residents. 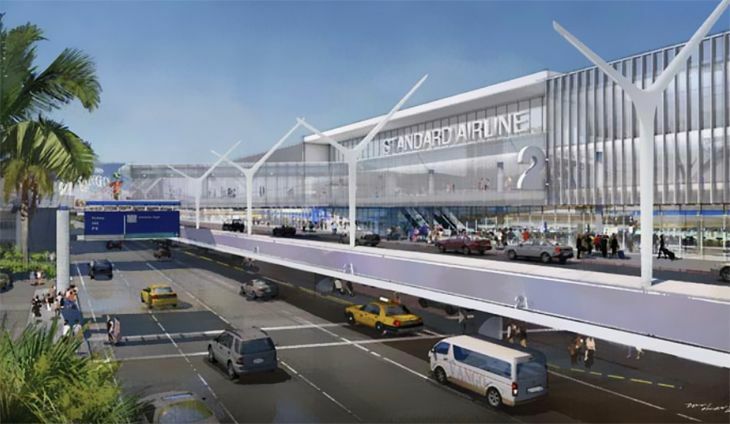 During peak periods, over 6,000 vehicles enter the airport on an hourly basis,” the agency said in its new Draft Environmental Impact Report for LAX’s Landside Access Modernization Program. 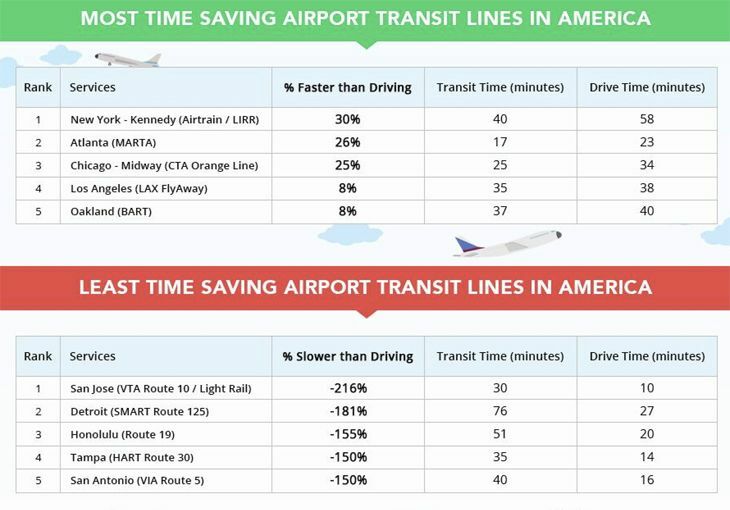 You can see the full report here, as a .pdf file – but keep in mind it is really long. 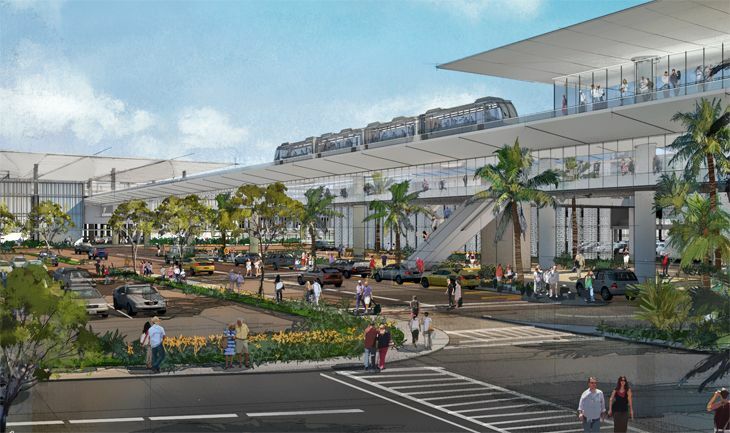 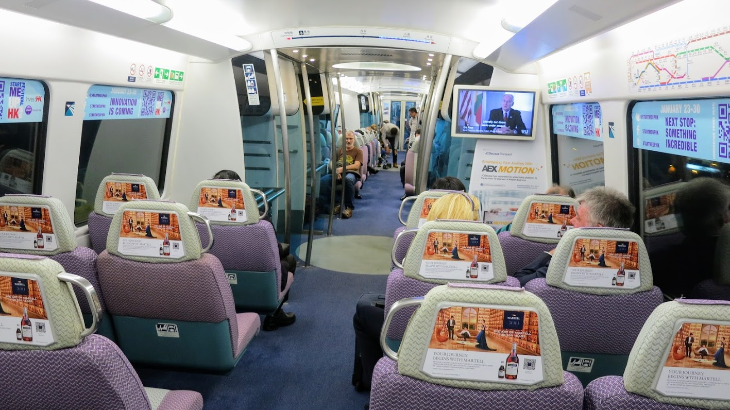 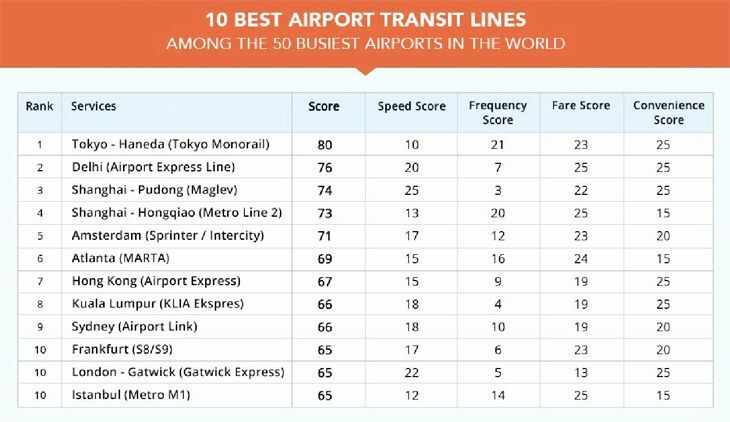 Basically, LAWA’s plan aims to bring more people to the airport via mass transportation, and get them to their terminals on a new Automated People Mover (APM) system that will run up through the middle of the central terminal area, with the APM stops linked to the terminals on either side by new pedestrian passageways. 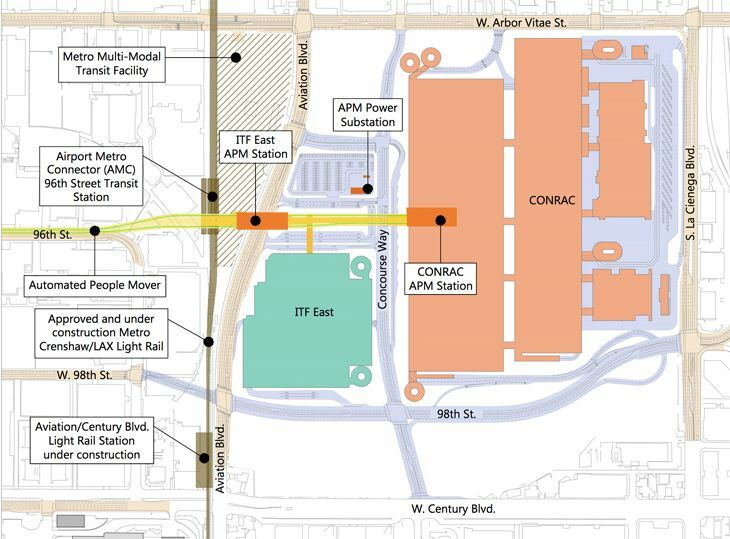 The APM line will originate on the east side of the airport at a new consolidated car rental center – which will also take the many rental car shuttles off airport roadways. 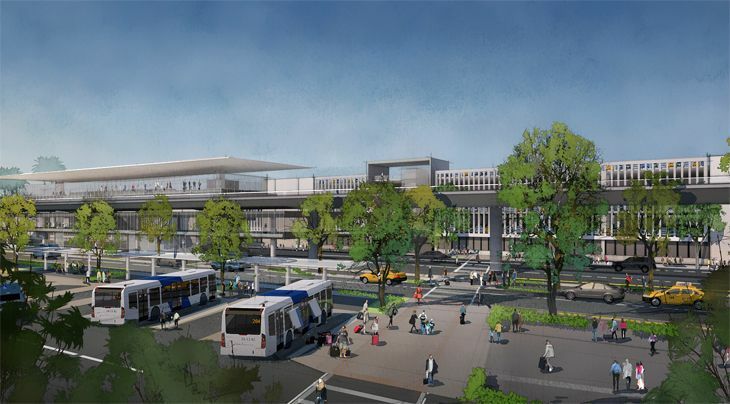 It will be linked to an intermodal transportation facility on the east side of the airport for passengers connecting to or from a new light rail line that will be part of the city’s mass transit system; and another one closer to the terminals for bus connections.